While training for a Swimathon challenge I tested a SWIMTAG fitness tracker to record my swim activity. The results helped me to hone my training and become a better swimmer. I’m an early adopter of a lot of tech, but a SWIMTAG fitness tracker was actually the first piece of wearable tech that I’ve ever used and, at first, I wondered if using it was a bit of overkill. Wouldn’t this chunky accessory create more water resistance?! How much would it actually help me when I already time myself with my usual watch? But instead of slowing me down, the swim watch has helped me to shave off nearly a second per length over forty lengths (1km in a 25-meter pool). It’s worth saying, I’m no athlete. I’m an average swimmer who once swum a 5K Swimathon challenge in 1:36. I’m now hoping to do the same challenge closer to an hour and a half. Actually, this year I’m doing the same challenge three times in the same weekend (swimming 15K in total)! It’ll be an exhausting, but rewarding, fitness and fundraising challenge where the money raised will go to Cancer Research UK and Marie Curie. Both are really worthwhile charities and it’s great that I can help them a little through a sponsored swim. 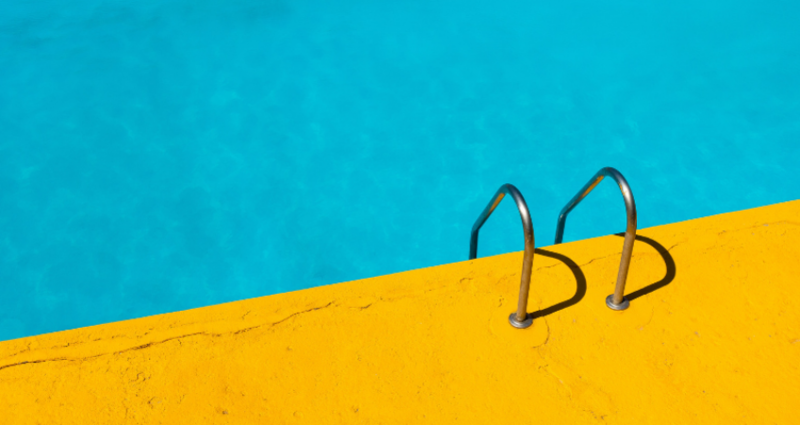 What is a swim watch? A swim watch is a smart fitness tracker that records your swim activity. They can measure pace, strokes, time, distance, lengths, rests, and can even tell which stroke you’re swimming (I was amazed after my first swim when my SWIMTAG correctly recorded that I’d switched from freestyle to butterfly). I’ve not used other swim watches (yet), but SWIMTAG has an app for reviewing your data which includes some fun gamification features. 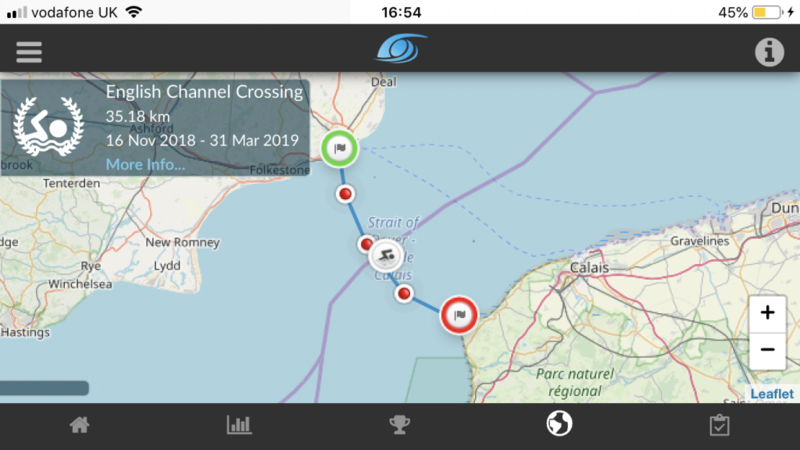 At the moment I’m taking part in an online English Channel Crossing. Every new swim moves my virtual-swim avatar a little further away from Dover towards Calais. If I wanted to, I could challenge a friend to swim the channel online with me just to see who could clock up the full 35.18km distance first. At the moment, I’m taking part in a local (virtual) competition with other SWIMTAG swimmers who use Norwich’s Riverside Leisure Centre to see who can swim 1km the fastest. I’m currently second (nationally I’m 163rd, which is probably a better reflection of my fitness). One nifty little SWIMTAG feature is that it tells me when the pool is at its busiest by using data from other SWIMTAG swimmers so, if you want to, you can pick a quiet spot when there aren’t so many people in the water. How did a swim watch make you a faster swimmer? The SWIMTAG app allowed me to review my swims and drill into my length times in more detail. I could see that over the lengths where I’d been working my hardest, really powering away with my arms, I’d taken more strokes in the water. These were my slowest lengths. I then reviewed all of my swim data and I noticed a correlation. I’d used fewer strokes on almost all of my fastest lengths. It might have felt that I was working hard, but my swimming was getting sloppy. For my next swim, I decided to take it easy. Instead of bashing through the water with all my strength, I’d focus on reducing my strokes by working on my technique. I made sure that my arm motion was smooth and continuous, that I wasn’t neglecting my kicking, and that I was properly sweeping under the water to really make the most of each stroke and propel myself forward. Afterwards, I didn’t feel like I’d had quite as tiring a workout, but I was pleased with the new rhythm that I’d found in the water. I looked at my SWIMTAG data to see if I’d made any progress, and the improvement was crazy! I’d used considerably less energy and gone a second a lap quicker, leaping up from fifth to second in my local rankings. Do you recommend using a swim watch? Yes! Using a swim watch has been a real eye-opener and it’s really helped me to identify areas where I can improve during training. Traditionally, I’ve used my regular watch to time myself and I always counted my lengths in the pool. So I might have been able to tell if I’d gone faster or slower, but I wouldn’t have been able to tell why my time had changed. 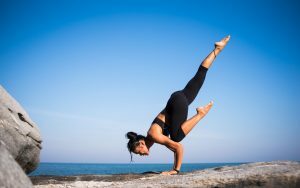 I’d always previously assumed that any changes were down to my level of fitness when I clearly should have been focusing more on my technique. 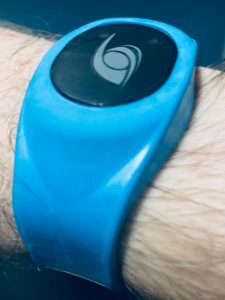 A final note: The reason I mention SWIMTAG so often is that its available as part of my pool membership, but there are plenty of other well-reviewed swimming fitness trackers available. You can help David fundraise for Cancer Research UK, Marie Curie & the Swimathon Foundation by visiting his Just Giving page. You can follow his training on Instagram. Whether your health goals for 2017 are to exercise more, eat better, or take care of your mental health, there's a HealthTech gadget that can help.